Includes the most frequently used label design features. 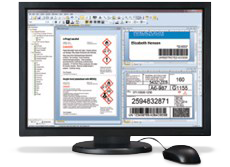 Includes all text, graphics, barcode and most serialising capabilities. 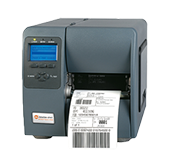 Useful for keyboard and scanner-supplied label data only. Most card printing functions, but only encodes magnetic stripes. Print Station is the only included Companion Application. Omitted from this version is no access to external data. No password protection of label formats, no VB Script customisation and only limited text filtering. No custom-base serialisation. Excludes all features omitted from Professional, plus no Batch Maker. Includes all of BarTender’s most powerful label design features. Data access for network databases (using OLW DB and ODBC), as well as spreadsheets and text files. Supports RFID tags and labels. All card printing functions but only encodes magnetic stripes. Includes two of the Companion Applications: Batch Maker and Print Station. Omitted from this version is no control from within other software. (No ActiveX, Commander or command lines.) No SAP or XML support. No job logging or e-mailed error alerts. Cannot export printer code templates. Excludes all features omitted from the Automation edition. No smart card encoding. No Printer Maestro. Does not include many of the Companion Applications. Includes all of BarTender’s most powerful design features. Numerous software integration tools, such as ActiveX Automation, enterprise messaging and Seagull’s Commander utility for cross-platform integration. All the data sourcing of Professional, plus support for SAP IDocs. Supports RFID tags and labels. All card printing functions but only encodes magnetic stripes. Includes all of the Companion Applications except Librarian, but not all of the features. Logging into local database only. Omitted from this version is it does not offer the enhanced server functions, advanced integration (such as XML and SAP All), and web printing capabilities of Enterprise Automation (see above). No smart card encoding. No librarian. Excludes some Companion Application features. No logging into centralised databases. No inventory control of printer supplies. Our most powerful edition. Includes all the design, printing, software integration and data sourcing features of the Automation edition, plus advanced server functions for centralised printing, security and administration. 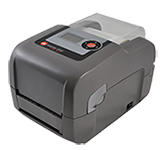 Supports RFID and all card printing and smart card encoding functions. Includes BarTender Web Print Server to print labels from any browser. Contains our most advanced integration features, including Librarian and logging to centralised databases. Tracks printer parts inventory and in-printer media usage.